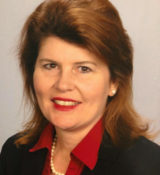 Carolyn is ready to assist you with your real estate needs on many levels. She grew up in Holiday, Florida where she earned a degree in Interior Design. Her desire to move and experience beautiful California called and it was here that she met and married her husband Vic and where they have raised their two grown daughters Emily and Ellen. Throughout her career Carolyn has truly enjoyed working with and establishing relationships with a diverse set of clients from Florida to California. She particularly thrives in the 55+ communities and has a strong sense of commitment and dedication to all her clients. Carolyn knows what a joy it is to be able to live and work in such an incredibly and extraordinary place such as Walnut Creek and the San Francisco Bay Area. 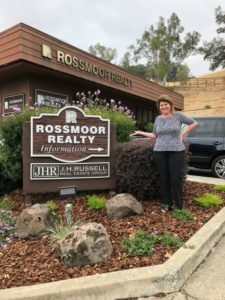 She welcomes the opportunity to help you find your perfect home in the very desirable Rossmoor or any of the lovely surrounding areas. It would be Carolyn’s pleasure and privilege to be part of your home selling or home buying experience and her dedication to her clients will help make that process as seamless as possible and net you the results you are looking for!